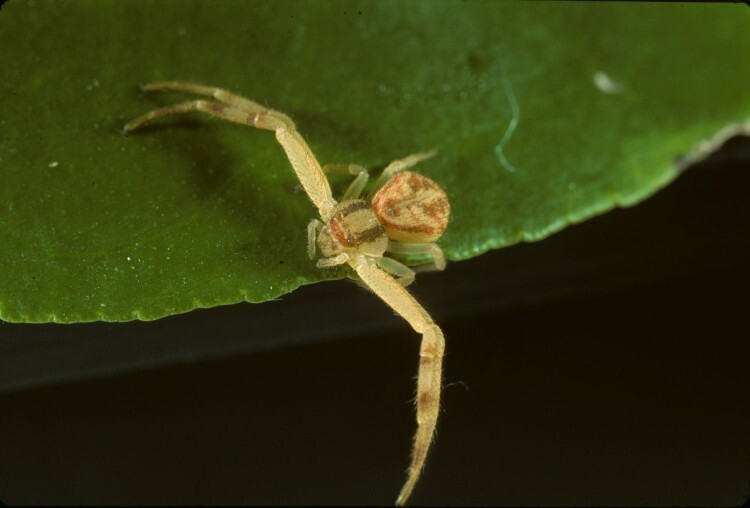 There are 31 species of crab spiders known from Ohio. 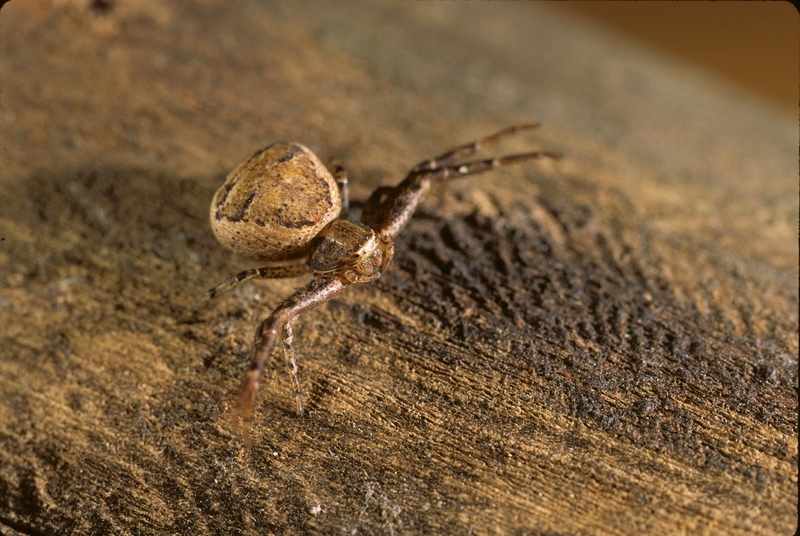 This represents about 5% of our spider species. 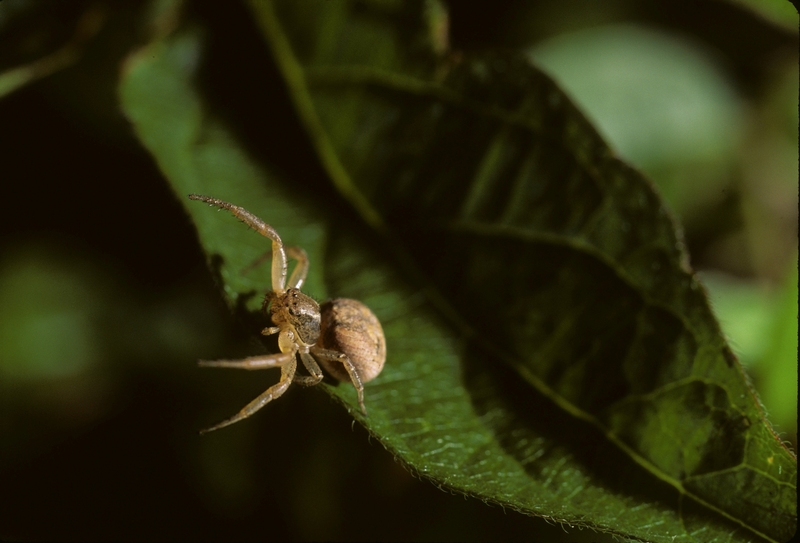 These spiders are ambush predators. 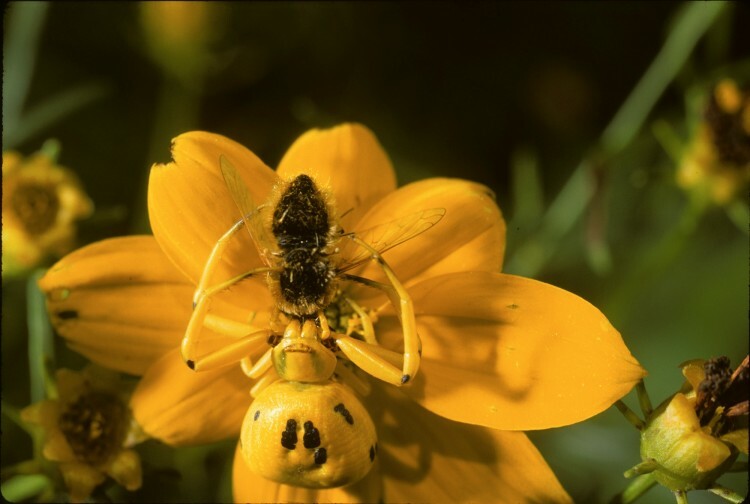 They often wait in flowers or on vegetation and capture passing insects. In most species the legs are turned so that they form a curved “basket” facing forward with large raptorial spines on the front legs for grasping prey. 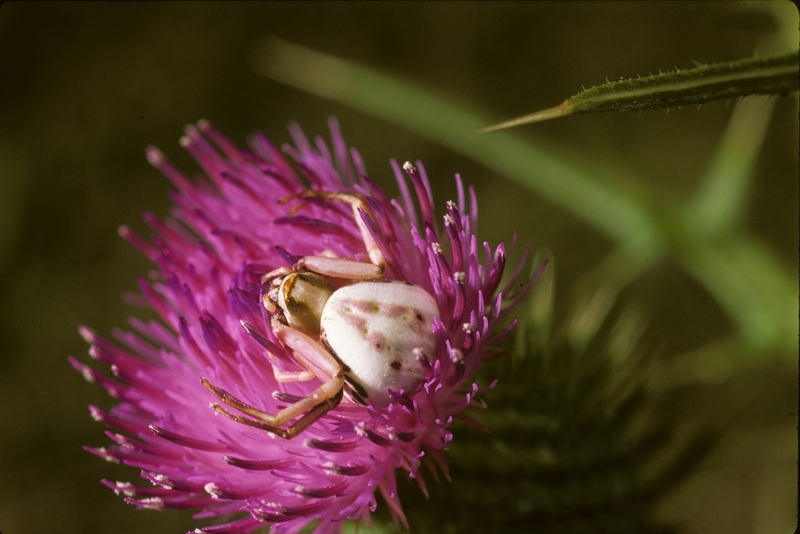 Crab spiders regularly catch and eat prey that are much larger than themselves. When moving they shuttle side-ways, increasing their superficial resemblance to true crabs.